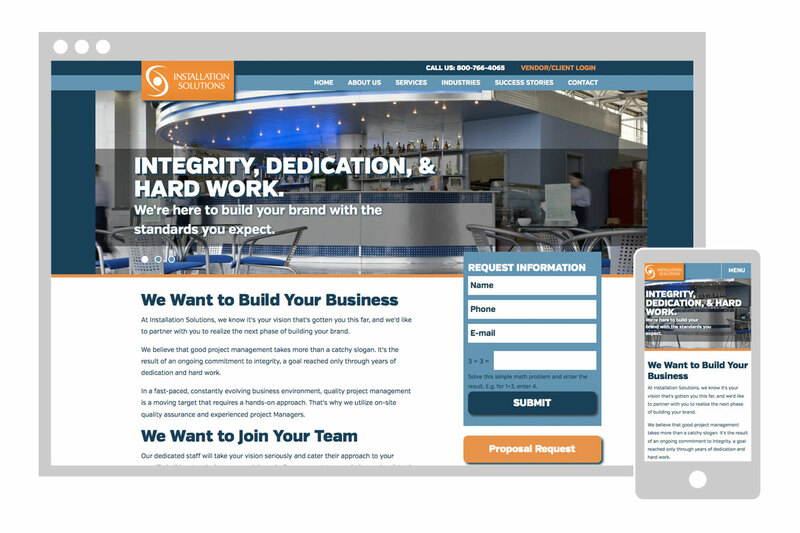 I worked with Clearspace Creative to design and develop a website for Installation Solutions, Inc. that would showcase the industries they work with and the services and expertise they provide. I came up with a set of icons to represent each service and industry, and used bold typography to communicate each one. To help demonstrate the services, and show off some past accomplishments, I created a “Success Stories” section with a blog-like structure. Here, Installation Sollutions, Inc. can showcase some of its best work and allow customers to gain a better understanding of their capabilities.